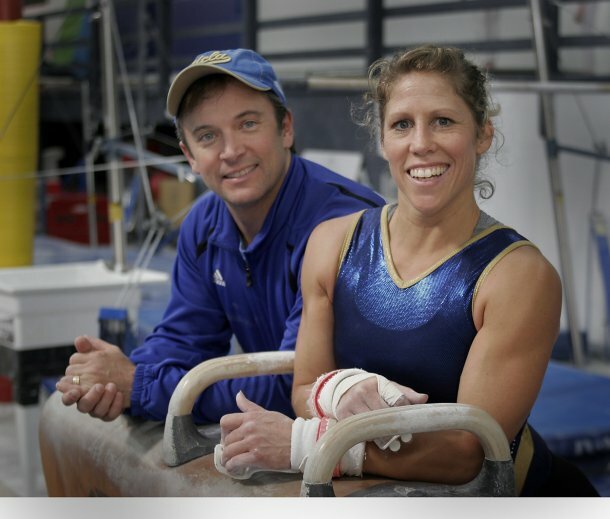 Jenny Hansen with her coach, Randy Lane at Platinum Gymnastics. Jenny Hansen is here! Follow her on Instagram as you listen this week and you’ll be giggling along with us. The Wisconsin native attended the University Kentucky where she won three consecutive NCAA All-Around Championship titles between1993 and 1995. She is the only person to ever win three straight All-Around titles. Jen won a total of eight national titles. She accomplished all of this while competing as an individual, without a team to set up her scores at NCAA Championships. The sport that drew her to the University of Kentucky (Hint, it involves Fascinators). Why she stayed away from elite gymnastics in her youth, but not as a adult. The importance of fans when competing as an individual. The ways in which trampoline can save your life. How to describe your athletic lifestyle on blind dates when you are a stunt woman/gymnast/acrobat/horseback rider. Jenny on Twitter, Instagram and YouTube. 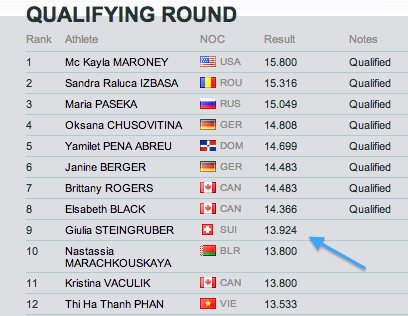 Vault qualifying scores from the 2012 London Olympics. 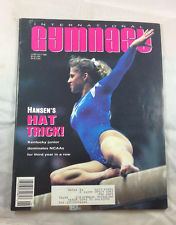 Jenny Hansen on the cover on International Gymnast Magazine after winning her third NCAA AA title in a row. A little sample of Ariana Berlin’s handywork over at NFL Films. Loved the interview! Jenny seems like such a fun person! One thing I’ve always wondered: Why was the old vault called a “horse” and, for that matter, how did the pommel “horse” get its name? Loved this interview! Jenny seems like someone whom I’d want to be my best friend! She loves horses and gymnastics… She’s just someone I totally want to hang out with.